Cranbourne East’s newest residential development. Welcome home to Allanvale! There is no compromise with Allanvale’s enviable location. Merging the best of modern lifestyles with clever neighbourhood planning and friendly design, Allanvale invites you to a better way of living. The scene is set as you enter your new neighbourhood through an enclave of natural woodland, a delightfully peaceful pocket of greenery, overflowing with amenity and conveniently connected to life’s essentials. Immerse yourself in a nurturing community and get to know your neighbours with approx 300 home sites on offer. The centrally positioned and beautifully landscaped community park provides inspiration for a healthy lifestyle and weekends devoted to family time. 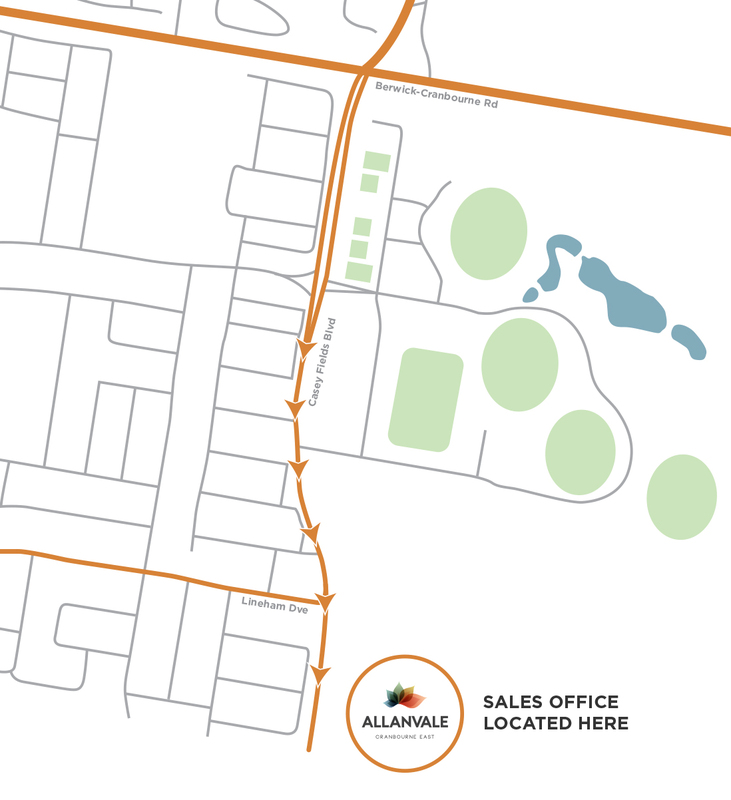 Take time out and embrace the serenity of Allanvale while enjoying the convenience of being connected to a multitude of nearby community facilities. Allanvale is located just 45 kilometres to the Melbourne CBD with easy access via the South Gippsland Highway, Monash Freeway and convenient public transport. Surrounded by quality education options and just 3 kilometres to the bustling Shopping on Clyde neighbourhood retail centre and Cranbourne town centre offering an array of cafes, supermarkets and specialty stores. You will be spoilt for choice when it comes to leisure time. Adjoining the renowned Casey Fields sports precinct, Allanvale has sports enthusiasts and busy families covered. Discover Cranbourne’s Royal Botanic Gardens nearby, explore the beaches and wineries of the Mornington Peninsula, or take in the spectacular view from the Trig Point lookout, all within reach.